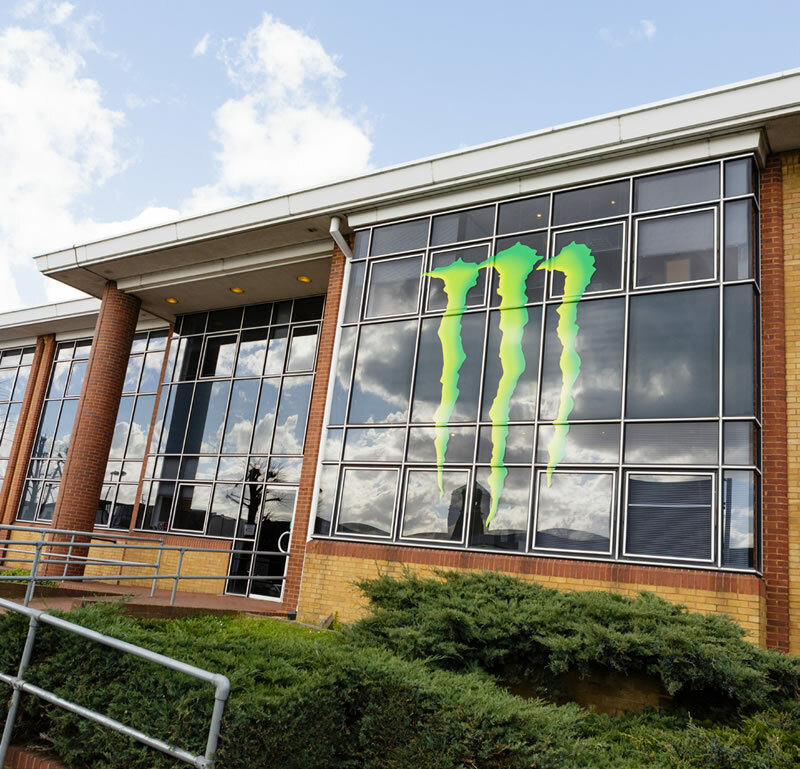 The energy drinks company Monster, required a light industrial and office space that could service their logistics requirements and reflect their brand identity. 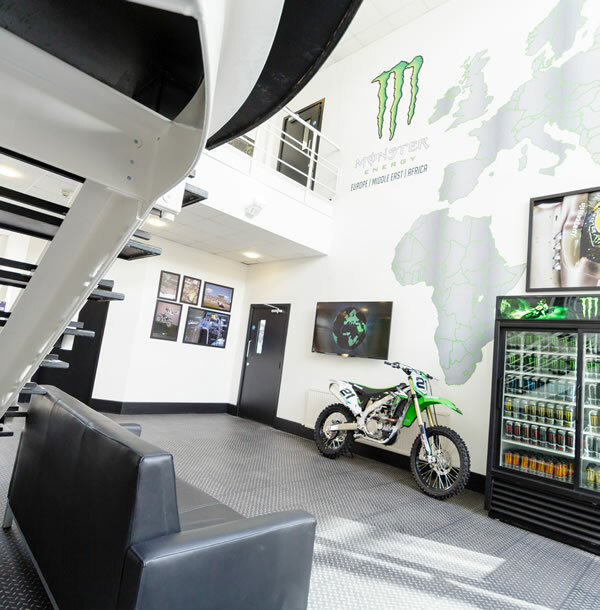 Working closely with their facilities and marketing teams, Cube met the brief and created a functional facility for the warehouse teams and created expanded support office space, all with their distinctive branding and energy throughout. “It was a fantastic project. 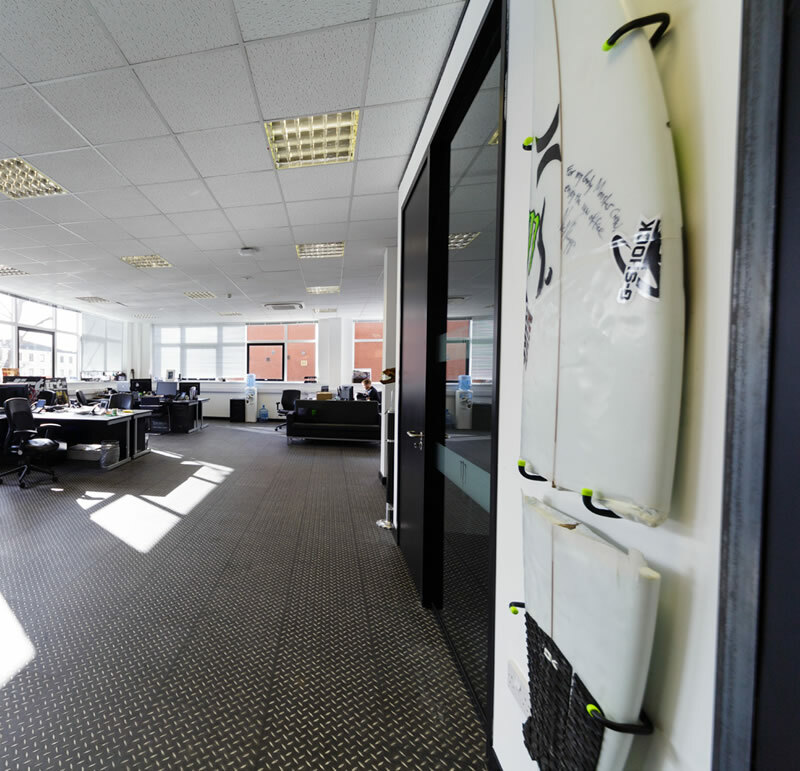 We highlighted their brand and personality in the design with surf boards, car doors, motorbikes and crash helmets” said Trevor Hall, MD, Cube.